BCIC Job Circular & Apply Process 2017 with details are found here. 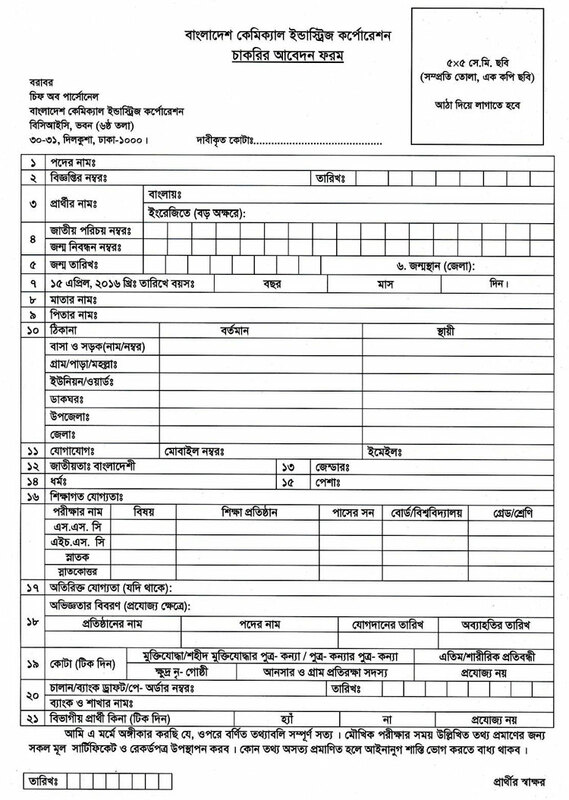 Bangladesh Chemical Industries Corporation Job Circular Online available at website http://AllExamResultBD.com. The BCIC under job title Assistant Engineer (Chemical), Assistant Engineer (Electrical), Assistant Engineer (Mechanical) is Training Institute for Chemical Industries (TICI) job vacancies. BCIC Job Circular online apply start 6th February and continue up to 25th February, 2017. Bangladesh Chemical Industries Corporation (BCIC) online apply website http://bcic.teletalk.com.bd/. Bangladesh Chemical Industries Corporation, fully owned by the Government, was established in July, 1976 by a presidential Order. Total recruiting of Training Institute for Chemical Industries (TICI) are three hundred thirty four candidates. 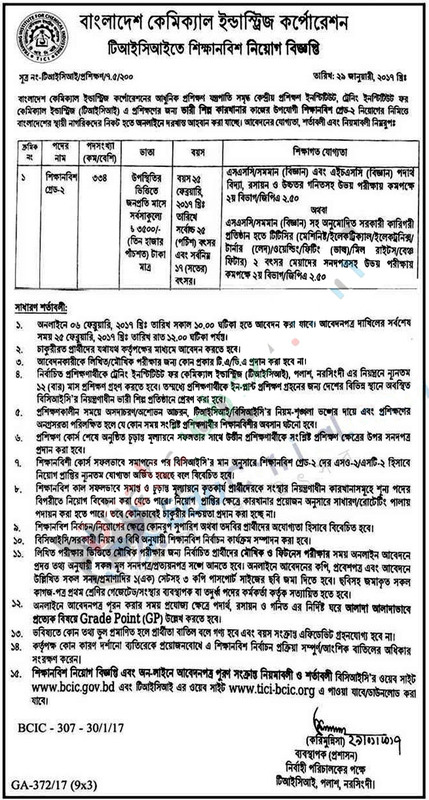 ■ Job Description: This job position is no experience, Bangladesh Chemical Industries Corporation under job title Trainee; Grade-2 is Training Institute for Chemical Industries (TICI) job vacancies. The basic objective or BCIC is to help building the national economy through. Extending necessary techno-financial assistance to both local and foreign entrepreneurs and establishing new industries as Joint Venture in Chemical and allied sectors and making optimum use of the natural and human resources of the country.